I just finished facilitating a four-part series on personal branding at a pharmaceutical company in Cambridge. Amazingly, it was offered to any employee at any level who wanted to become proactive in this development area. The journey down the road was as exciting for me as it was for my participants. I recently became certified as a Branding Analyst with “REACH360” and realized this would be a perfect fit for the progressive organizations I work with, as well as my motivated executive and career coaching clients. The most exciting part of the process was the positive feedback I received. The engagement level of participants was the best I have seen in years. Like the “Wizard of Oz”, it was a journey filled with surprises. I kicked off the first session, Branding for Career Success, with the basics on personal branding: what it is and why we need to focus on it. Each session was two hours long and provided exercises and activities to move participants along the path of personal branding. If I asked you to describe your brand in three words, what would you say? The second session, Discover Your Brand, introduced William Arruda’s 1-2-3- Success! branding process and took participants on a journey designed to discover their career and life purpose. This crucial step is often skipped when people focus on their brand. A second powerful exercise, which received rave reviews, involved setting goals in key life areas for the next five years. Think of the Cowardly Lion—if he hadn’t known he needed courage, who knows what he would have ended up with when he finally made it to the wizard. Session participants learned a feedback model for gathering data on the key competencies that directly affect their brand. Session three, Develop Your Brand, took a great deal of courage and persistence. Participants learned about the leading personal branding assessment available online called 360REACH, and many individuals decided to begin this journey as well. During this session, I saw people’s questioning faces go from, “I don’t truly have my own brand” to leaving with a draft of their personal-brand statement. An excited participant shared out loud, “I cannot wait to update my LinkedIn summary with my brand.” It reminded me of the Cowardly Lion when he realized that he needed courage. I saw incredible courage at this session when individuals had to dive into completely uncharted areas to figure out their brand. They identified their key rational and emotional attributes that add incredible value to their career and designed a unique personal brand statement. Getting to session four, Communicate Your Brand, was like making it to the Emerald City. 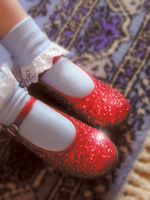 Most of the difficult searching was over, and everyone was wearing different shades of ruby slippers. We discussed tips for branding LinkedIn profiles and strategies to brand elevator pitches for professional conferences. We also explored a connecting strategy to use for building relationships in various departments. I emphasized that development work doesn’t end once you know your brand. We might wish that career development was as easy as closing our eyes and tapping our heels together three times, but we all know it’s not that easy. We discussed ways to be strategic about career development while managing daily work and personal life. Everyone left with a proactive career development action plan that would allow them to focus on continuous career management instead of the usual once-a-year development planning cycle. Just as Dorothy navigated many challenges during her journey, our brand journey requires figuring out where we want to go and managing the unexpected monkeys along the way. Happy 75th anniversary to the “Wizard of Oz,” a fabulous example of successful branding.